Whether your child is lactose-intolerant or you’re simply unsure of whether dairy milk is the best option for their health and development, we’ve compiled a list of the 10 healthiest milk and milk alternatives for toddlers and kids to help make your decision an easier one. It used to be that there wasn’t much in the way of choices out there when it came to milk. You either drank milk or were generally out of luck, which made lactose-intolerance a particular pain in the rump. And while it’s still not easy to find dairy products like ice cream and cheese that aren’t actually made from dairy milk, a slew of alternatives to actual dairy milk have sprung up that have parents questioning which variety is best for their children. Dairy milk sales are expected to stumble as a result of the increased competition, with market research firm Mintel predicting the market will decline by 11% between 2015 and 2020. On the other hand, the non-dairy milk market is expected to jump by 50% during the same period, though it would still total less than 20% of the dairy market’s size even if those forecasts prove to be on the money. Before we look at the 10 Healthiest Milk and Milk Alternatives For Toddlers and Kids, let’s first look at the importance of milk for toddlers. In the first year of a child’s life, milk or milk alternatives will need to play an important role in their diet, as they aren’t yet able to consume a wide variety of foods. Therefore, they rely primarily on milk to get the nutrition they need, including fat for the development of their brains (toddlers should be drinking whole milk, not a slimmed down variety) and calcium for their bones. 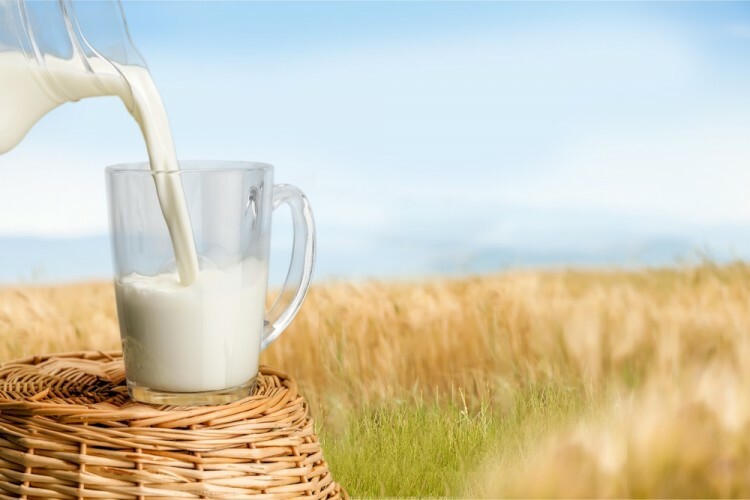 However, there is also a risk of toddlers drinking too much milk, as dairy milk interferes with iron absorption, which could lead to a deficiency and anemia, which could in turn to lead to impaired cognitive development in toddlers or young children. This was confirmed in a 2012 study, which recommended that children aged 2-5 only drink about half a liter of milk each day, while previous recommendations from some groups had urged for them to chug down 1 liter per day. Overconsumption of milk could also lead to constipation through a lack of fiber intake, as the excess milk tends to replace other foods that may have more iron or fiber. While there’s no undeniable best milk brand for toddlers or young children, there are a variety of milk brands and alternatives that offer their own unique benefits, but which may also be lacking in one or two areas. It will be up to each parent to decide, primarily based on what their child’s diet is like, what the healthiest milk to drink will be for their child. Nonetheless, we’ll try to break down each option with an overall ranking while extolling their benefits and drawbacks so readers can make their own informed decision. Now then, let’s check out the list of the 10 healthiest milk and milk alternatives for toddlers and kids, beginning on the next page. Note that the nutritional information is generalized and that individual brands may vary. If you still haven’t had your fill of milk-related reading after checking out the list, then don’t miss the list of countries that are just as enamored with milk as you are, in our article of the 11 Countries That Consume The Most Milk. And now, let’s see the list of healthiest milk and milk alternatives for toddlers and kids .